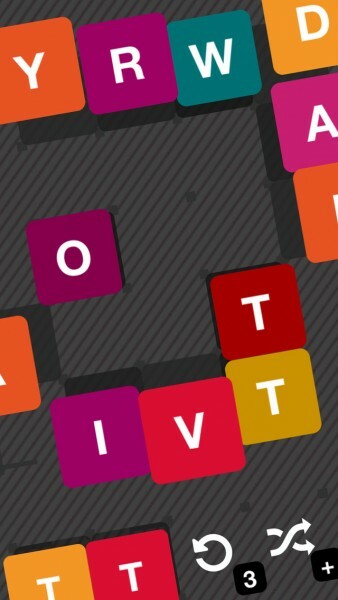 AlphaPit (Free) by Shane McCafferty is a new word game with a twist. 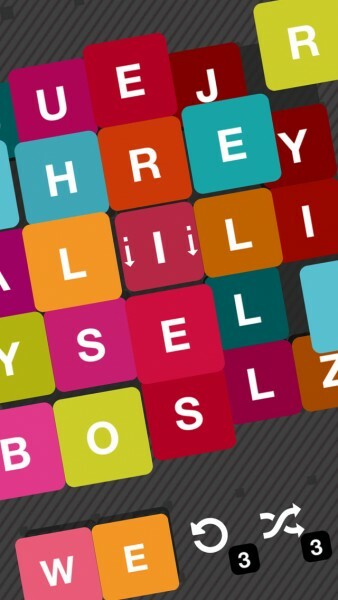 If you love word games but are tired of the usual fare, then AlphaPit is one you should consider. 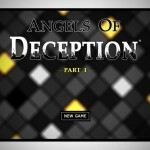 It’s from the same developer as Word Forward, which was a popular game from two years ago. Since I’m a writer, one of my favorite puzzle genres are word games. But this should surprise no one, right? Even though I don’t think of myself as the best when it comes to the genre, though, I still have a lot of fun playing these games because they make me think, and we all need some mental stimulation to keep our minds sharp (otherwise, it’s just a waste). I’ve gone through dozens of word games in the past several years, but from what I’ve noticed, a lot of them seem the same, just with different skins or a few changes in rules. So when I saw the news of AlphaPit hit my inbox a while back, I was intrigued by what the game was bringing to the table. It’s not just another Scrabble or Boggle type of word game, and it’s much more challenging. In terms of visuals, AlphaPit looks sharp for a word game. Players are greeted with a minimalistic aesthetic that works well. While the graphics look flat like most games nowadays, there’s a bit more depth to it due to the ability to change the letter tiles, which can appear to be depressed the further it is from the original state. The pinstripe gray background helps make the colored letter tiles stand out nicely, which also “pop” out with the shadows and slight 3-D appearance. It’s easy to tell when letters are selected due to the colored outlines, and the typeface used in the game is easy-to-read. 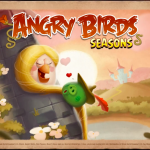 The animations are smooth and fluid despite the subtlety, and things are made interesting with a techno EDM soundtrack. It’s refreshing to see this, especially in the word game category. Like typical puzzle games, AlphaPit features levels that one must solve before moving on to the next. At the moment, the initial free game download includes 200 puzzles, which is a ton of content for nothing. And since it takes some serious wordsmith skill and time to solve, it’s not surprising that AlphaPit will keep you busy for a long time. One of things that caught me off-guard with AlphaPit is the fact that while it’s a free game, there are no in-app purchases. You can replenish your supply of power-up items to solve puzzles by watching ads, but there is no way to get rid of the ads (they only show up voluntarily) or even buy more power-ups through in-app purchases. It’s nice to see this, though, so it requires skill and patience to complete the game. 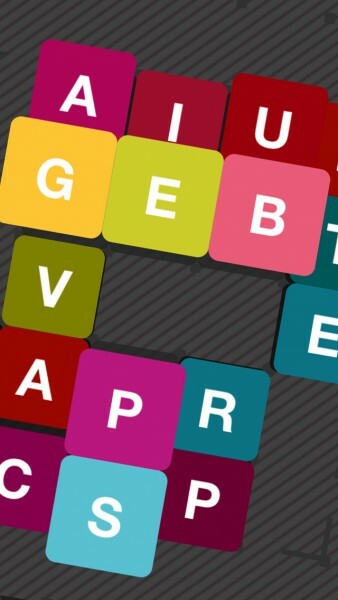 So what exactly is AlphaPit, and what makes it stand out from other word games on the market? The App Store description talks about depth and loneliness, and that’s true, though you shouldn’t get all philosophical about it (unless you want to). The objective of each puzzle is to clear out the board of letter tiles by spelling out words that consist of at least three letters. However, when you spell out words, the tiles have to be connected to each other (horizontally, vertically, diagonally, and even backwards). All tiles must be removed from the board for the puzzle to be complete. While it sounds simple enough, things get pretty tricky and you’ll have to use your noggin’ to get rid of all tiles. 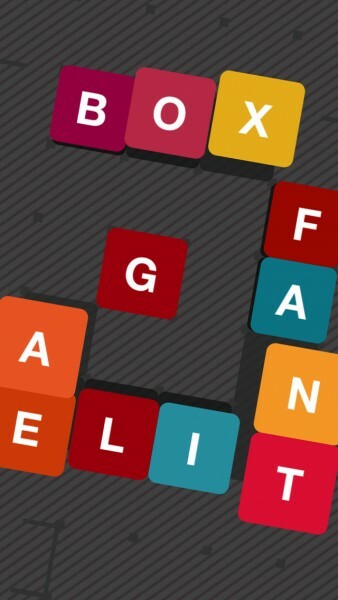 To spell out a word, just tap-and-drag along the letters you want to use. If the word is accepted, the tiles vanish — otherwise, they’ll remain on the board or tell you if you’re under the three-letter requirement. 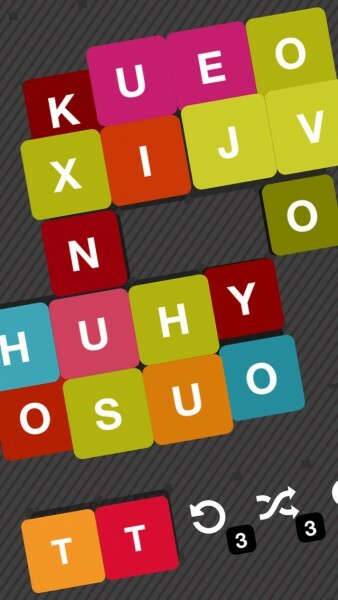 If you’re unable to spell out words with the current tiles, there are a few things you can do. The first thing is to tap (forward) or hold down (reverse) a letter, as this allows you to cycle through the previous or next three letters in the alphabet, depending on how far the tile is sticking out. 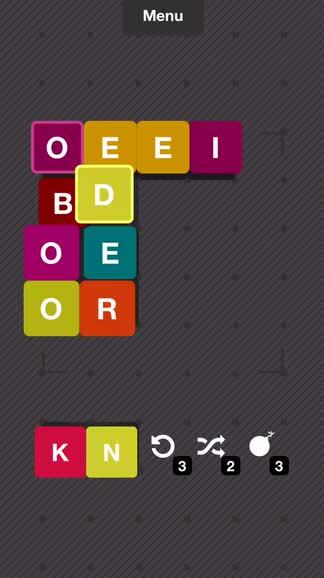 Secondly, the game also gives you two tiles in your “hand,” which are shown in the bottom left corner. These tiles can be swapped out with any tile that is currently on the board, which can be handy when you just can’t think of any words to spell out. The last option you have are the three power-ups that are available at your disposal. The power-ups are: Undo, Shuffle, and Bomb. The Undo one is pretty self-explanatory, as it lets you undo your previous move. Shuffle is great when you can’t make any more words in the current setup, so it will shuffle the letters around, but the tiles remain in the same spots.  Bomb lets you eliminate any individual tile, which is great when you just have one or two lonely tiles remaining on the board. In regards to the power-up items, everyone will start out with three of each with the initial download. However, if you run out and need more, you can obtain three more by watching a video ad. As I mentioned earlier, there are no in-app purchases in the game, so if you need more power-ups, you’ll have to endure the ads. At least people can’t cheat by buying a ton of power-ups and not actually solving the puzzles, so there’s a plus. My favorite part of AlphaPit, though, is the fact that you can play the game at your own pace. There are no points to score or time limits to worry about, so you can just focus on finding words to spell or figuring out new words with the tools you have. Just sit back, relax, and spell. 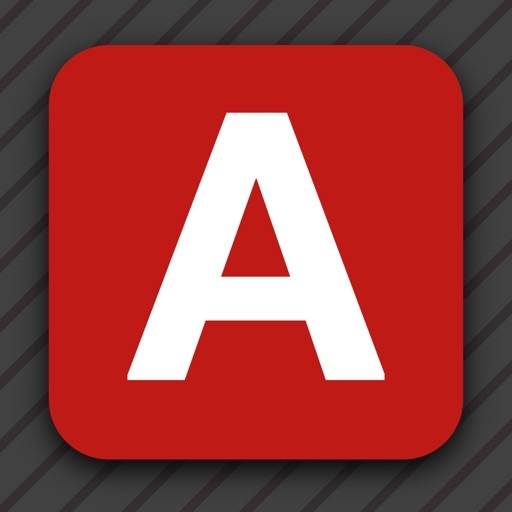 I’ve gone through a ton of word games since I’ve picked up my first iPhone, but AlphaPit is a real gem. The rule of having to use every tile on the board opens up a ton of possibilities that you may not have thought of, and being able to swap out letters keeps things fresh. Plus, the game looks good with minimalistic aesthetics, the music is soothing to listen to if you enjoy EDM, and controls are simple enough to understand. And tons of levels and no in-app purchases is the icing on the cake. 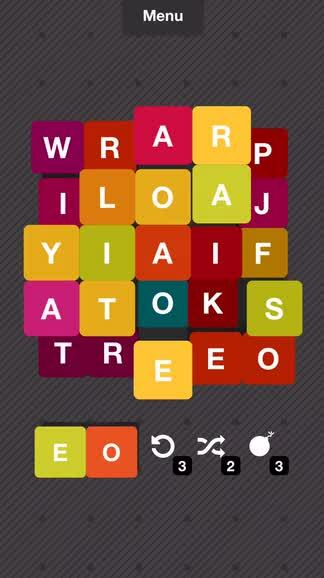 I highly recommend checking out AlphaPit if you’re a word game fan. You can get AlpahPit on the App Store as a universal download for free.